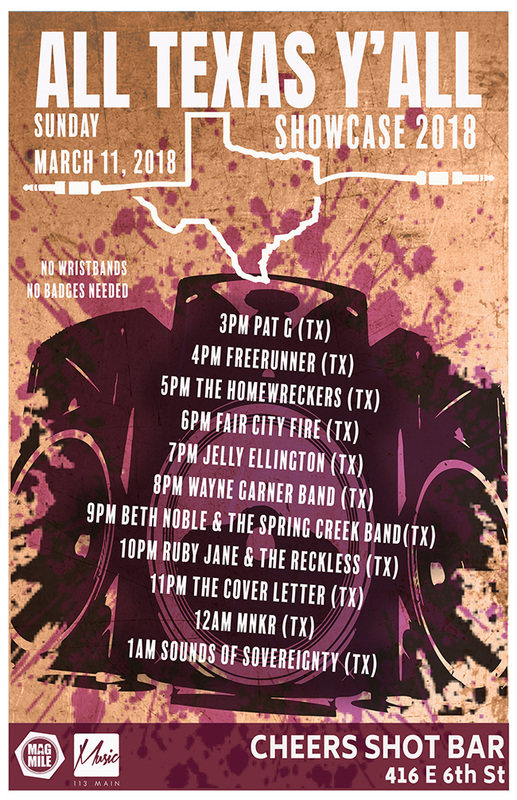 We'll be gettin' our show on in Austin for the first week of SXSW 2018! 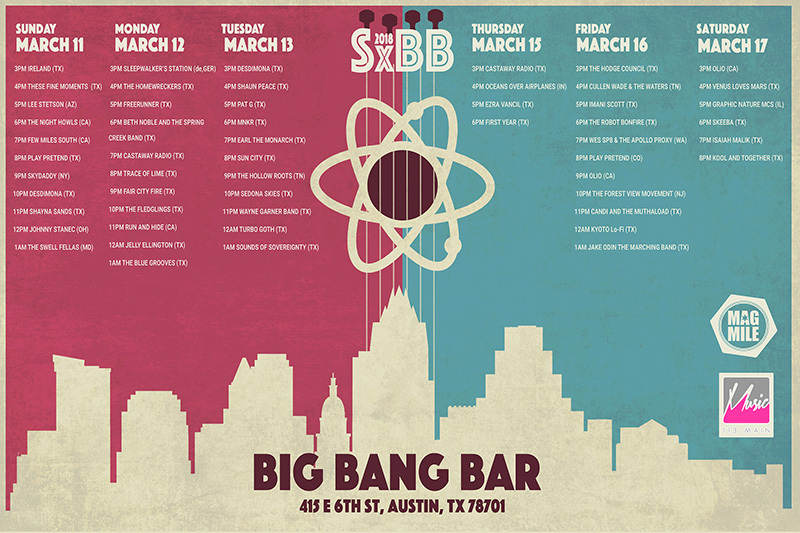 We're definitely super pumped about hitting the stages in Austin this coming March! Check out the event flyers and links to the events themselves for information. Join the Event on FB! This may look weird as the event also says 'March 11th' on FB but we're on Day 3, March 13th. Just a heads up.